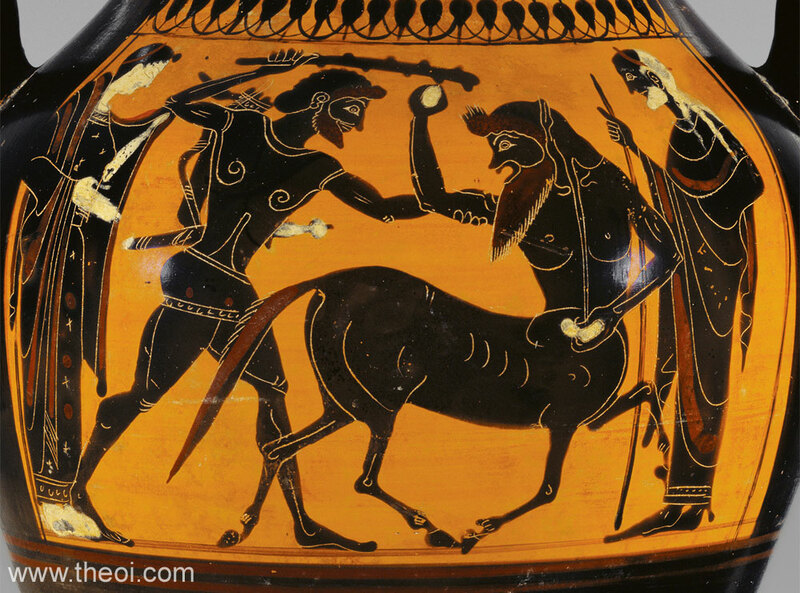 Heracles confronts the centaur Eurytion in Olenus. The hero is equipped with a breastplate, sheathed sword, bow and quiver of arrows, and wields a club. The centaur, his mouth agape, brandishes a pair of stones. The pair are flanked by the princess Mnesimache (left) and her father, the elderly King Dexamenus (right).